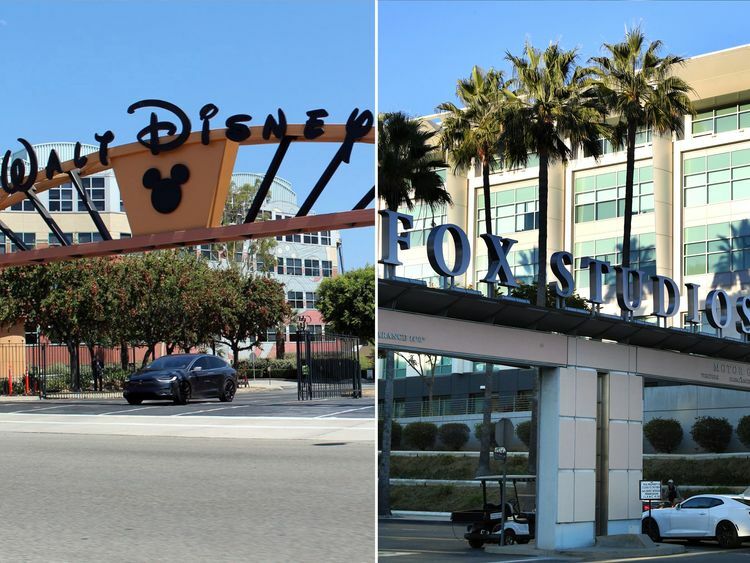 US cable giant Comcast has launched a $65bn cash bid for 21st Century Fox's entertainment businesses, setting up a battle with Disney which has offered $52bn in stock. Comcast says its cash bid - of $35 per share - for most of Fox's assets is 19% higher than the value of Disney's offer as of Wednesday. The move follows a previous bid being rebuffed last year.Wednesday's announcement comes a day after a US federal judge cleared AT&T's $85bn takeover of Time Warner.The judge rejected the government's argument the takeover would hurt competition in cable and satellite TV and increase costs to consumers for streaming TV and movies.The AT&T court victory was widely taken as a green light for Comcast to submit its expected bid.In the UK, Disney and Comcast are currently battling to take over Sky plc, the owner of Sky News.Fox, whose biggest shareholder is media tycoon Rupert Murdoch, has a 39% stake in Sky and has been trying to buy it outright, with the intention of selling the full company to Disney as part of that deal. UK regulators have given the go ahead for that offer if Fox sells Sky News.Regulators in this country also have cleared Comcast's $30.7bn offer for the 61% of Sky that Mr Murdoch does not own.Culture Secretary Matt Hancock said Fox's proposal to divest Sky News to Disney - or any other suitable buyer - is likely to be the most effective way to tackle any public interest concerns.Mr Hancock said any buyer would have to guarantee that Sky News remains financially viable, continues to operate as a major UK-based news provider and would be able to make editorial decisions independently and free from any potential outside influence.He said that, without those undertakings, he would have to block the takeover - but stressed this was not his "preferred option". Mr Hancock, who was acting on the advice of the Competition & Markets Authority (CMA), also said he would raise no objection to a rival takeover bid for Sky from Comcast.Fox has already said it would be prepared to sell Sky News to Disney in advance of its proposed takeover of Sky to overcome any concerns about media plurality in the UK.